The Feldenkrais Method is named after its creator Dr Moshe Feldenkrais who developed an approach to mind/body integration that improves co-ordination and physical confidence, reduces stress, and helps you move more efficiently. Using simple repetitive and gentle movements, this Method can eliminate chronic pain and improve physical wellbeing. The Feldenkrais Method can be helpful to people in all walks of life and I believe The Feldenkrais Method is a valuable tool for everyday living. 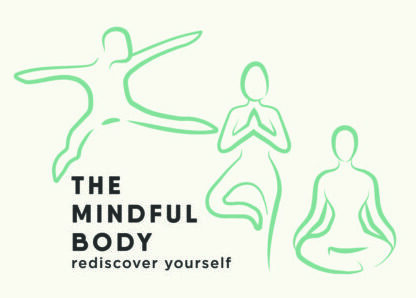 The Mindful Body is dedicated to raising awareness of the practice of The Feldenkrais Method as a means of promoting wellbeing and an independent approach to better health – in work and play! Who can benefit? Anyone interested in moving better! Those recovering from injury, feeling stiffness in back, knees or ankles or just wanting to avoid future problems in sitting, walking or running. Is The Feldenkrais Method just another crazy idea? The idea that the body and the mind are one has been advocated now for quite some time. Yet most people still think of “the body,” or “physical movement” as separate, different, and independent from “mental” activity such as thinking, emotions, beliefs, feelings, and social behaviours. The Feldenkrais Method is part of those disciplines that recognise the brain’s ability to change and grow new neurological pathways and connections throughout life. This is sometimes known as “brain plasticity”. During the first 18 months of life, we learn more than at any time and much of that learning is connected to exploration of our (new) world as babies, so we look, reach out, stretch and roll towards interesting things, eventually crawling and the final great achievement of coordination – walking. This is all learning but learning based on interest, curiousity and enjoyment. This is also a fundamental principle of learning within the Feldenkrais Method. Unlike other movement practices such as Pilates, The Alexander Technique and even yoga, the emphasis is on “learning” and a Feldenkrais class is usually called a lesson rather than a session. The aim of a Feldenkrais lesson is to engage your mind and physical senses to feel differences in your body for easier coordination of movement and overall function. We have all heard the expressions “no pain, no gain” and “try harder.” However, in order to overcome pain and limitation, the brain needs the exact opposite—less force. Our culture conditions us to “Try Harder” with “No Pain, No Gain,” but this mindset has been proven wrong and often injurious. If you use all your energy doing some activity, your brain has little energy left to create something new or to adjust for subtle changes. By reducing the force with which we move and think, we increase our sensitivity. With the resulting increased sensitivity, we greatly enhance our brain’s ability to perceive the finest of differences. These perceptions give the brain the new information it needs to organize successful action, perhaps recognising habitual movement that may have been causing pain or discomfort. Feeling the differences in ease of movement helps re-organize your nervous system. The Feldenkrais Method focuses on the use of the whole body through the skeleton. We work through the skeletal system in order to find more efficient and easier ways of moving. Sensing the support of your bones is necessary to relax and move with ease as bones connect, protect, and hold us upright. Without a sense of solid support for you to feel protected and secure, muscles around your joints may be unconsciously tense and even rigid. Having a solid experience of this support ripples through every cell of your nervous system – sending a message of safety and stability to your brain. This helps in recovering from injury or damage but also lets us know that it is safe to try out new patterns of moving. “Keeping your eyes on the prize” is a great way for most people to fail – by being focussed on one idea to the exclusion of others, you shut down possibilities of action. Freeing yourself from the compulsion to achieve a goal in a certain way and at a certain time keeps you open-minded and open to other ways of achievement. We can actually cause ourselves more pain by focusing too much attention on one part of the body, creating an imbalance. For example, if you think about your “bad” knee all the time, your movements will shift and adjust to this attention and actually imbalance your knee even more. Sensing the line of support from your heel to the top of your head can actually guide the knee toward a position of greater ease and alignment versus focusing on the knee itself.